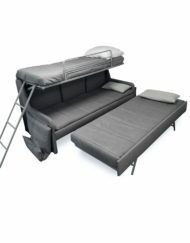 Finally Sofa beds that are comfortable to sleep on while holding stunning designs as sofas. Gone are the days of awkward bars, strange coils and ugly sofas. 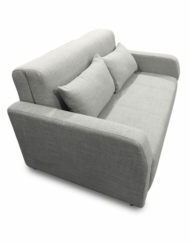 We have a range of beautiful sofas that convert into guest beds. 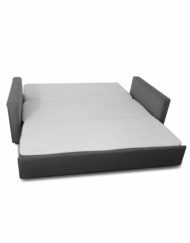 Using memory foam for a consistent durable sleeping surface, these Couch Bed Combos are styled, stitched and built with care for quality as well looks. 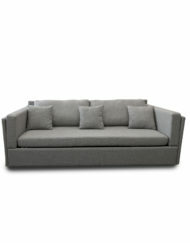 We even carry a Queen Size sofa bed, that is exactly the length of a queen bed when open. Talk about space saving! 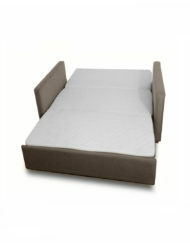 View our range of comfortable sofa beds here. 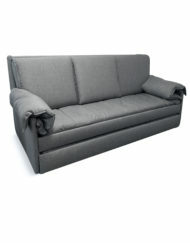 At Expand Furniture, we have a large selection of sleek, modern, and multi-functional sofa beds to choose from. Our sofa beds come in a variety of different colors and fabrics so you can find the one that best suits your decor and tastes. 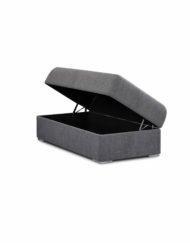 Our sofa beds also fit nicely in small homes and apartments, and are great for multi-use purposes. With couch bed combos made with memory foam, you or your guests will have the most comfortable sleep of their life on one of our expertly crafted sofa beds. Browse through our vast collection of sofa beds to find the right one for you. 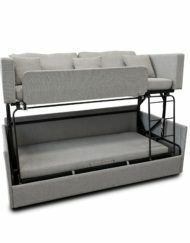 The sofa beds at Expand Furniture are some of the most unique and beautifully designed on sale. We always work hard to ensure that your are comfortable on your sofa bed, but we also know how important it is to have piece of furniture that doesn’t stick out like a sore thumb. Our stylish, sleek sofa beds are perfect for any decor. 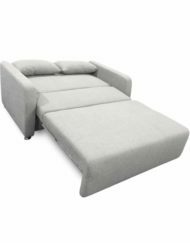 Find any number of our stunning designs that best suit your needs as a small home dweller with our multi functional, modern sofa beds on sale at Expand Furniture. 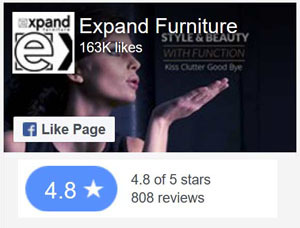 At Expand Furniture, we have the highest rated sofa beds on the market. 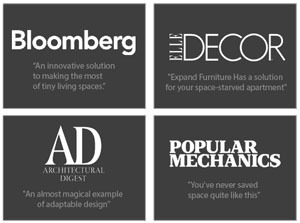 Our customers love the products we provide them, and with five star reviews and ratings on a variety of our sofa beds and contemporary wall bed sofas, you can find the one that suits your specific needs, style, and uses. 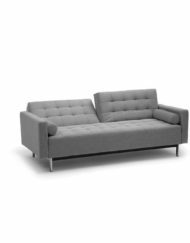 Learn what our customers have to say about our sofa beds, and browse through our large collection of comfortable, multi-functional furniture pieces to find the one that fits your needs. When you live in a small home or apartment, finding the right balance between functional, modern, and space saving is important. 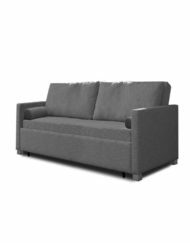 At Expand Furniture, we have a large selection of modern sleeper sofas that are stylish, functional, and offer multiple uses in your small space living. 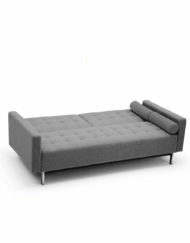 Our sleeper sofas are unique in that they don’t have uncomfortable bars and coils preventing you or your guests from getting a decent night’s sleep. 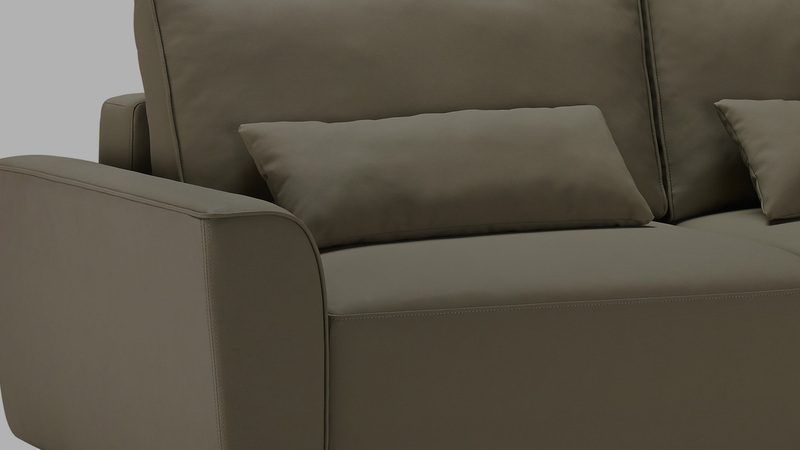 We use the best materials and fabrics to craft the most comfortable and modern sleeper sofas on the market. 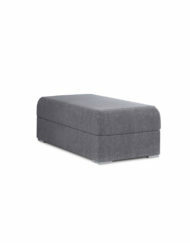 Find the right solution for your small space living with sleeper sofas from Expand Furniture. Utilizing the corner of your small home is important to maximize the space. Couches and sofas can take up a large majority of the space, making it feel cramped and small, but with a variety of corner sofa bed designs by Expand Furniture, you can make the most out of your small space with furniture that will accommodate your needs. Our stunning sofa beds are perfect for any sized space, big or small, and with comfort and style in mind, you can find the right one by browsing our online collection. Find the right corner sofa bed for your home, today. Having enough seating in your living room in your small space is just one of the many ways you can make your home feel larger. 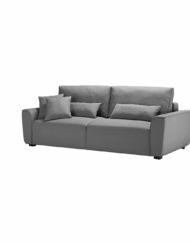 At Expand Furniture, we offer the best sectional sleeper sofas on the market, giving you comfortable sleeping arrangements for you or your guests, as well as a vast amount of seating accommodations. 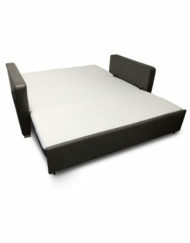 Convert your sectional sleeper sofa into a comfortable, moderately sized bed with a luxurious memory foam mattress. 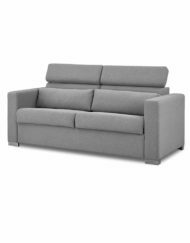 Find your sectional sleeper sofa today by browsing through our online collection of finely crafted, stylish, and multi-functional sleeper sofas. 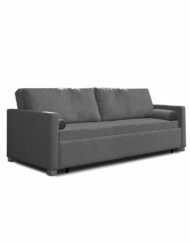 What Sizes Do Sofa Beds Come in? 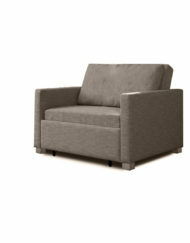 Our space saving sofa beds come in a variety of sizes, including queen, king, twin, and full. 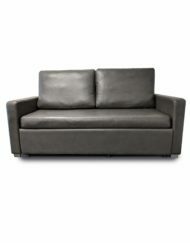 We ship our quality sofa beds and sleeper sofas worldwide, primarily in the U.S. and Canada. 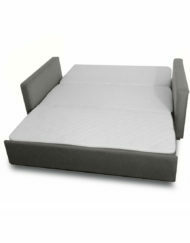 Our sectional sofa beds have comfortable, breathable memory foam mattresses to give you the best night of sleep possible. 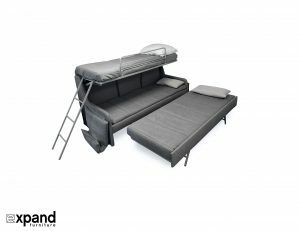 What Colors Do The Sofa Beds Come In? 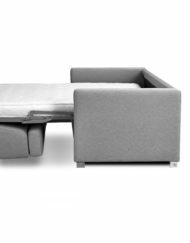 Our sofa beds come in a variety of neutral colors, including basket beige, and iron grey to fit the look of any decor and style.